Today's chefs are a nomadic lot, forever swapping kitchens and popping up all over the world at the drop of a cheque. But when Rene Redzepi​ announces he is closing his restaurant Noma in Copenhagen and moving his entire staff to the other side of the world for a one-off residence in Australia, it makes news. Big news. The eloquent, driven, socially committed, hyper-naturalist Redzepi was recently headlined by American Food & Wine magazine as the most influential chef in the world. The 37-year-old has transformed Scandinavia into the cutting edge of gastronomy with his Copenhagen restaurant Noma, and changed the nature of dining across the world by focusing on the connection with nature and wild food. His restaurant has been annointed No. 1 in the world in the S. Pellegrino World's 50 Best Restaurants four times (2010, 2011, 2012 and 2014), moving to No. 3 in 2015. When he talks, people listen. And right now, he's talking about Australia. Why Australia? "Because I love it," says Redzepi. "I'm old enough to think of Australia as all smiling faces, surfboards and kangaroos, from the ads I saw as a child." In truth, he has long had a love affair with the country. Since opening Noma in 2003, he has had a strong contingent of Australians on staff, and forged long-term bonds with local chefs, such as Ben Shewry​ of Melbourne's Attica and Jock Zonfrillo​ of Adelaide's Orana. "I love the breed of chefs here," he says "I feel we often talk about the same things, that we are in the same boat, trying to figure out who we are." Mind you, he has form with this pop-up caper, escaping the previous punishing Danish winter by opening Noma for a five-week sell-out run at the Mandarin Oriental in Tokyo. There, he broke new gastronomic ground by fusing solely Japanese ingredients into his own terroir-driven philosophy. Now, it's Australia's turn – and we are mighty curious to see what he will make of our unique ingredients. If anything, the Sydney project - to be installed at the foot of the yet-to-be-finished Anadara residential building within the 22 hectare, $6 billion Barangaroo precinct that wraps around the western harbourside edge of the city - is more preposterous. The staff head count will be close to 100, including 35 chefs, 30 waiters, and 10 reservations and administrative staff. They are coming with their partners, and their children. "And they are all packing their flip-flops," says Redzepi. "We're all very excited to try the Australian lifestyle. We're giving each other a life experience." It's not going to be easy. Costs are high, the dollar is working against them, and apart from some assistance with travel from Tourism Australia, the restaurant is expected to pay its own way. The first quote on serviced apartments for staff came in at $780,000. (At time of press, they are still homeless). "We need to be close to the restaurant," Redzepi says. "When we first opened in Japan, we worked 18 to 20 hours a day for the first 10 days." Redzepi is in Australia scouring desert, sea and sand for ingredients that might inspire the menu of Noma Australia when it opens in January. With him are sous chefs, Thomas Frebel​ and Australian Beau Clugston​ – and anything that swims, crawls, grows or flies is fair game. So far, the chefs have spent five hours driving around the Adelaide Hills, tasted 65 native ingredients with Zonfrillo and paid an "inspirational" visit to Mike and Gayle Quarmby​ of Outback Pride at their Reedy Creek Nursery near Robe. Then came another eight hours on the road to Melbourne. 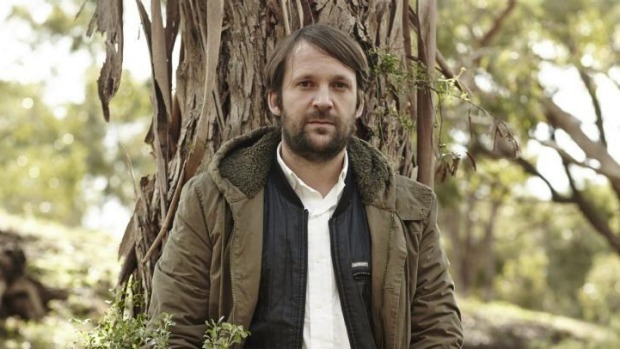 "That's one thing about Australia, you are going to sit in a car," says Redzepi. "There is no way around it." 4.30am It's as dark as it is cold when I join them on the road for a day of sourcing suppliers and meeting farmers. First stop is Yarraville, to see the day's catch at leading wholesale seafood suppliers Clamms Seafood. Co-owner George Kaparos​ greets us with hairnets and rubber boots and invites us into the cool store. Redzepi, clearly missing the Danish summer, hugs his arms around his body. 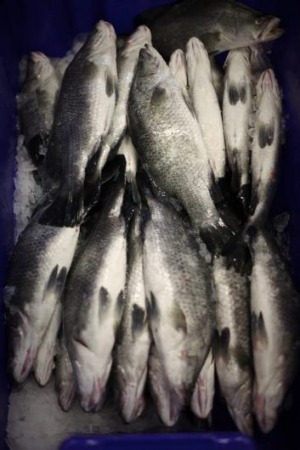 "We've tasted such good fish in Australia," he says, "better than anything we get in Denmark." He inspects the gleaming bass groper, calamari and boar fish destined for the plates of Supernormal, Grossi Florentino and The Atlantic, and talks of fish collars, throats, belly fat and mullet roe. 6.30am I'm banging on the door of South Melbourne's St Ali, 30 minutes before they officially open. The baristas kindly let us come in out of the cold while they set up, and the table is soon covered with elegant double macchiatos of Kenyan beans and platters of scrambled eggs buried under finely shaved black truffles. The chefs eat as if they know we're not going to eat again for 12 hours (we don't). "I love the coffee culture in this country," says Redzepi happily. When the young chefs in the kitchen suddenly realise who has landed on their doorstep, they emerge, shyly, asking for a group photo. Redzepi interrogates them. "What ingredients do you love, what is good around here?" 8.30am Redzepi straddles the pitch-black rocks in the shallows of Half Moon Bay, the Melbourne skyline rising like a bar graph from the horizon. The mournful kitten-cry of a lone seagull floats down from the sky, snapping him into action. "Hey!" he calls to Clugston, who is fossicking in the sand. "Let's do gull's eggs!" Already, the menu is taking shape. "The main spirit and energy of it will be built on the ocean and the shoreline," Redzepi says. "Native spices, herbs and grasses are also a huge inspiration. They have to be. You can't travel across the world and cook broccoli and carrot." Tomorrow, he is off to hang out with his mate Shewry on the Bellarine Peninsula and explore the Sea Bounty mussel farm, then it's on to Tasmania ("we're looking for wild fish and shellfish"), before flying to the tropical north. The team will be back in October to explore the Kimberleys, Darwin and Margaret River, before menu development starts in earnest in December. 10.30am The chefs spread out like a SWAT team at Prahran Market, huddling over abalone, clams, sea urchin, rainbow trout. Everywhere they go, people come up to talk. Two young visiting chefs from Argentina are star-struck, barely able to speak. One shopper says she has a booking at Noma for dinner on October 2 – the chef makes a note of the date. At The Essential Ingredient, they search for a copy of Michael Symons' history of Australian cuisine, One Continuous Picnic. Noon Back in the car, on the Calder Highway to Castlemaine to pay a visit to Carla Meurs​ and Ann-Marie Monda​ of Sutton Grange Organic Farm, makers of the highly prized, hand-made Holy Goat Cheese. There's plenty of time to talk, throw ideas around - and to worry about the sometimes overwhelming logistics. At Restaurant Noma Australia, 50 people will be seated for lunch and for dinner in one sitting per service, five days a week, for 10 weeks. Do the maths – that's 5000 people, paying an estimated $400 to $500 for a tasting menu that will run anywhere from 10 to 20 courses. That's a total income of around $2,250,000. And still, he says, there is no guarantee that it will cover their costs. 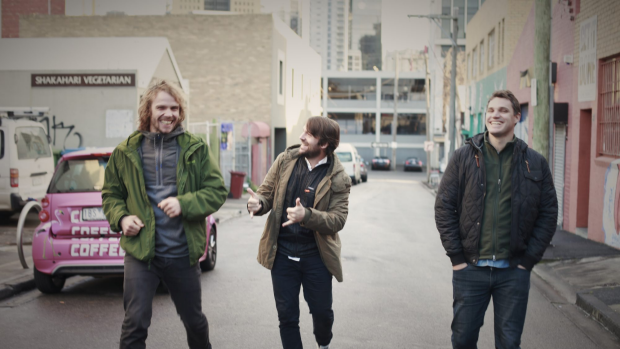 Redzepi considers himself lucky that Lendlease has come to the party with the Barangaroo site. "They really wanted to make it work." Kitchen equipment will be rented, and mid-century Danish tables and chairs will be "borrowed" from vintage specialists. The team will have every plate, cup and bowl made by local artisans, as it is in Noma. "We want the space to be open and comfortable," he says. "It's really lovely, and almost like Noma in that it is five metres from the harbour. Except one is in the north of the world, and now we are in the south of the world." 3pm We tramp over meat ant nests under the eucalypts, Ruby the dog at our heels, as the sleek, bright-eyed saanen and british alpine goats come in for milking. Contrarily, Redzepi seems more excited by the whey than the rounds of fresh goat's cheese with their soft velvety geotrichum​ candidum​ mould. "Perhaps we could lightly gel it?" he suggests, taking another gulp of the strong, sweet, sour, milky liquid. 5pm As we cruise back to Melbourne through deceptively moss-green paddocks linked by dry creek beds and puddles of dams, the chefs are on their phones in the back of the car, sorting further producers and suppliers. Clugston sends out a call for gull's eggs. We've now been on the road for 13 hours, but Redzepi isn't flagging, shooting questions out into the ether. "What is the difference between the bush and the outback?" "What can we do with bananas?" "What are we going to do for cutlery? Use our hands?" He stares out the window at the rolling granite hills. "What works for us is the wild landscape, connecting ourselves to all the wild ingredients, and pairing them with the best of agriculture. That is the best we can do." Then he laughs, as a warning road sign flashes past: "Kangaroos ahead". What does Australia taste like? For Noma's Rene Redzepi, having zig-zagged from the Adelaide Hills to the deep waters off Tasmania to the coconut palms of Queensland like some mad Danish explorer of old, Australia has a wild taste all of its own. "There is a distinct flavour profile coming through with everything we taste," he says. "It's fresh, sharp and clear, in a spicy, green, crunchy way; not in a gentle, cuddle-me way. It's full-on, whether it's a berry or a wild green." In Sydney, he tasted 40 different wild plants from the northern beaches, foraged by young chef Elijah Holland of Sydney-based foragers Natures Pick. "I went a little bit crazy and brought in lantana flowers, samphire, sea spray, wattle pollen and native violet leaves, and he loved them," says Holland. At Orana in Adelaide, he tasted the tender hearts of the alexander palm. "We had it with bush honey and green ants. Sensational." 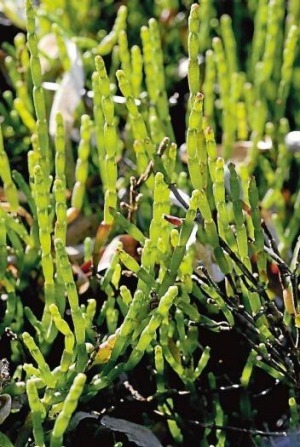 Keen to build a menu inspired by the shoreline, he is exploring sea succulents such as samphire, ice plant, sea blite and saltbush as well as seaweeds. "Australian food, to me, has to show some understanding of your landscape," he says. "When you understand what is out there, then you can make good choices as to what you might cook." He is staggered at how much of Australia is carpeted in native wood sorrel. "It has become such a cliche of Scandinavian foraging cuisine, but I have never seen so much of it as I have in Australia. And you don't even eat it." The use of wild and native foods is clearly one definition of Australian cuisine, evocatively explored by Australian chefs from Kylie Kwong to Vue de Monde's Shannon Bennett. But is that all that Australian cuisine is? 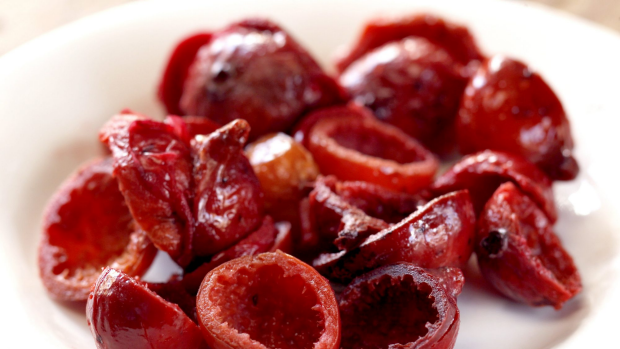 "It's so complex," says Redzepi. "What is Danish food - is it food from Denmark? What if you make pizza, but all the ingredients on the pizza are from Denmark?" His almost forensic approach to flavour is backed by rigorous R&D work conducted in the Noma "food lab" in Copenhagen. "Tapping into the age-old use of natural fermentations, pickling, smoking, drying, salting and curing has really worked for us," he says. "Preserving techniques give us a whole cabinet of condiments." For Redzepi, Australian cuisine is also about a way of cooking. "If you are invited to somebody's home in Australia it is 100 per cent certain that you are going to have a barbecue," he says. "When I have been to Aboriginal communities, somebody has built a fire within half an hour, and started cooking." So he's building a 2.5 metre long charcoal grill inside Noma Australia – and just in time for summer, too. So, what's it going to be - lamb chops on the barbie with quandong jam on the side? He thinks not. "You should be left with the mouthfeel you get when you're eating a desert lime and a pepper leaf. Clean, sharp, fresh and spicy. But the main skill is to make it something else again."